Cat #20463 | I Want To Draw a Cat For You! 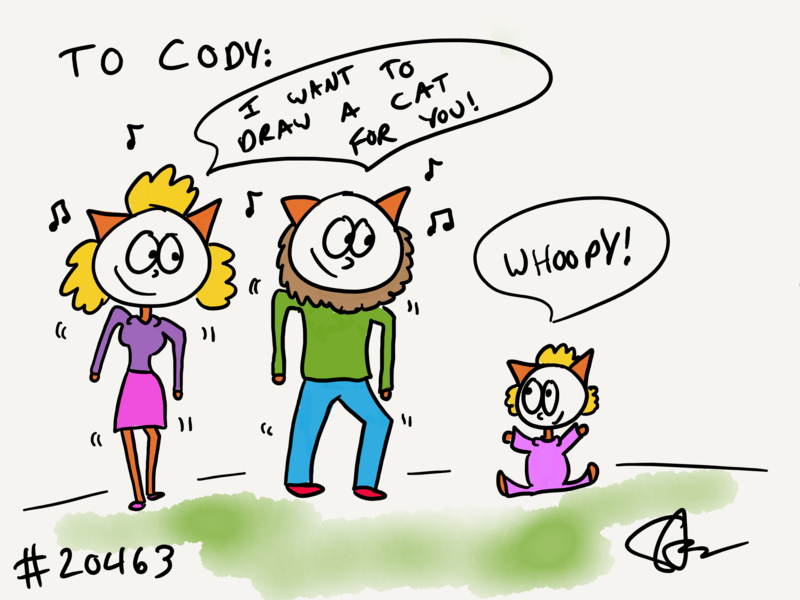 Cody wanted a mom and dad cat singing the cat drawing song to their little girl! Whoopy!